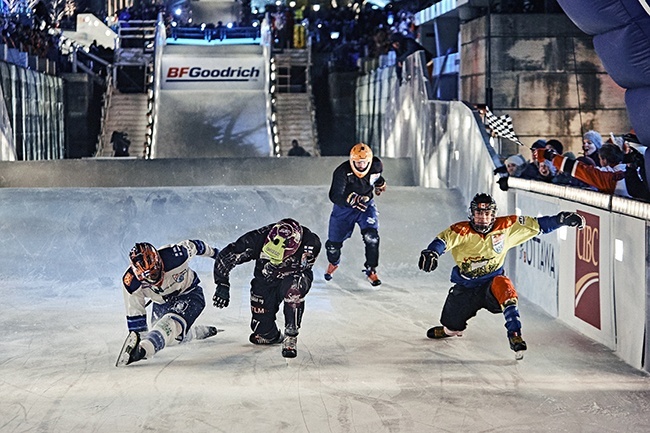 The season of the world’s fastest sport on skates went as quickly as the riders on the track, but the speedy competitors have already got their hands full preparing for the start of next season. We chatted with Mirko Lahti, the recently crowned 20-year-old Junior World Championship. The championships were Mirko’s fourth junior event win this year, and he also managed to make a name for himself earlier in the season, when skating his way to a top-8 of the men’s tour event held in his native Finland. 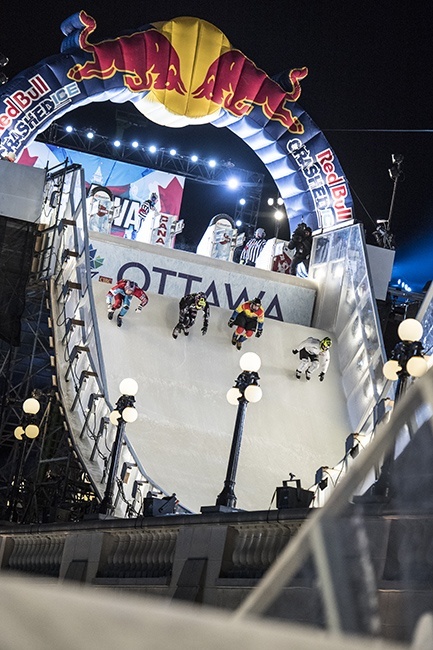 In Ottawa, during the Ice Cross World Championships, Mirko was able to see the physiological impact of his championship performance had on his body. Under his black and white racing jersey, he was wearing a high-definition heartbeat monitor from Firstbeat that recorded each beat along the way, as he raced to hoist the championship trophy. Analysis was then performed that examined how each heartbeat had changed from the previous one. The results gave Mirko a chance to look back and understand his performance from a new perspective. It came as no surprise that the winning effort was substantial. Mirko topped the training load scale by registering a Training Effect of 5.0, well beyond what athletes target during training. When it comes to racing, there’s no point in holding anything back. The analysis also revealed the need for a healthy dose of recovery to counterbalance such a major effort. Luckily for Mirko, the off-season is the perfect time to rest up. According to Firstbeat’s wellness specialist Jaakko Kotisaari, both Mirko’s performance and recovery in Ottawa were like Gillette razors; the best a man can get. “Mirko has a particularly important quality for an athlete. When he’s on the go, he goes full speed and when it’s time to rest, he somehow manages to recover very efficiently. A clear indicator of Mirko’s recovery skills is the fact that his resting heart rate reached a new record low the night before the finals,” Kotisaari describes.